Flyer and tickets will be available soon. 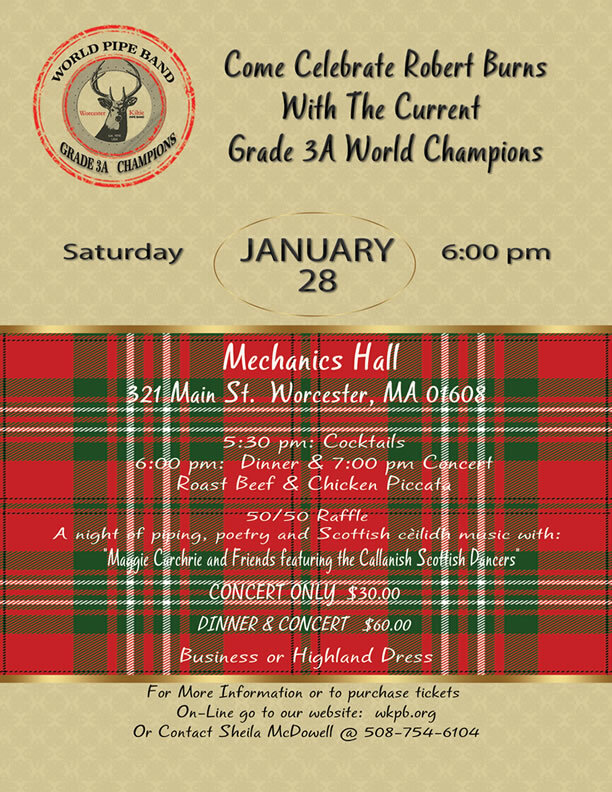 3rd Annual Robert Burns Night Announced! 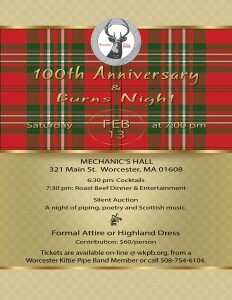 Visit http://www.wkpb.org/burns-night for details and to purchase tickets. New kit for Worcester Kiltie Pipe Band thanks in part to NHSCOT! The Worcester Kiltie Pipe Band wishes to express our gratitude to NHSCOT for supporting the band. 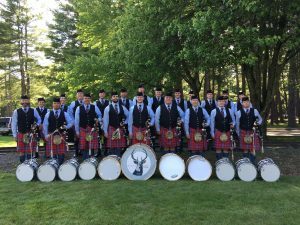 Members come from all over New England and represent not only this region, but the entire country, as we compete in Canada and Scotland. The grant from NHSCOT helps us provide a more professional presentation to our audiences. We are extremely appreciative of the support the NHSCOT organization has provided and look forward to wearing our new kilts this summer. We’d also like to thank the many friends and family members who so generously donated their time and money to help us. Join Worcester Kiltie Pipe Band at Mechanics Hall on January 28, 2017 to celebrate our annual Robert Burns Night. Please click here to reserve your seat today. Note: tickets available for the dinner and concert or the concert only. 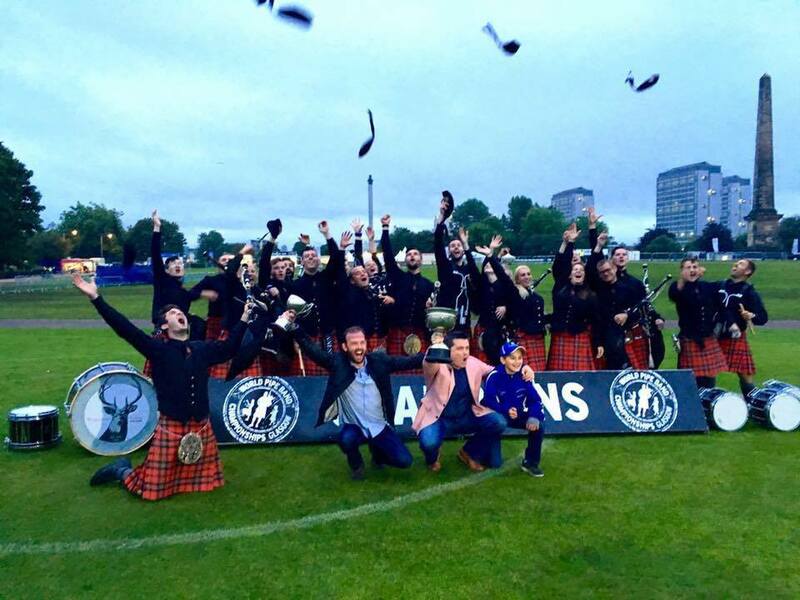 Worcester Kiltie Band wins 2016 World Pipe Band Championships, Grade 3A! 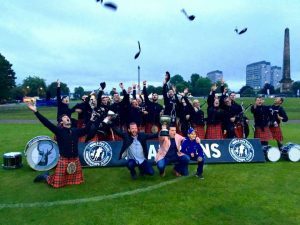 Competing for the third year in a row at the Worlds in Glasgow, Scotland, the band won firsts in piping and drumming in both qualifier and final, bringing the championship trophy back to the USA. Thanks to all who helped the band achieve this goal, a significant win to celebrate 100 years! 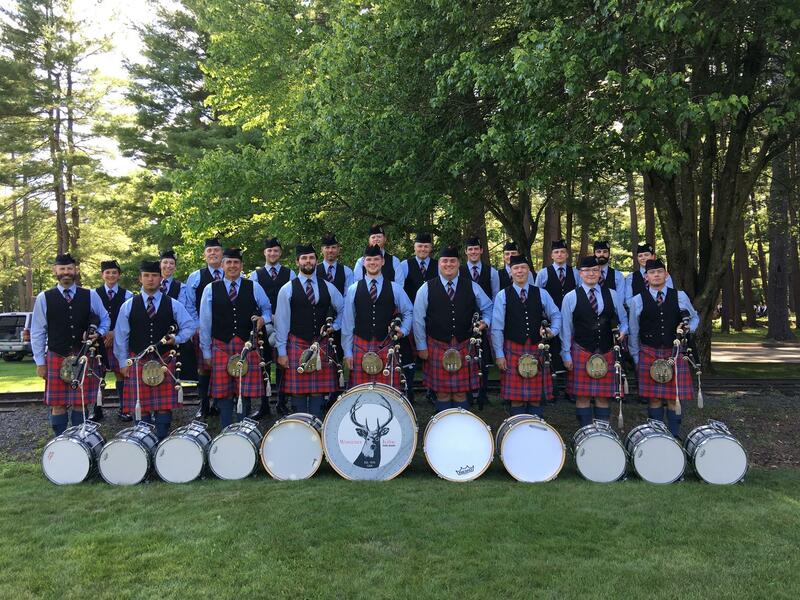 The band looks forward to continuing to compete, perform and teach at a high level, and encourages prospective members to contact the pipe major at pm@wkpb.org or the drum sergeant at drums@wkpb.org. The band manager can also be reached at manager@wkpb.org for information on donations, sponsorships or band engagements. 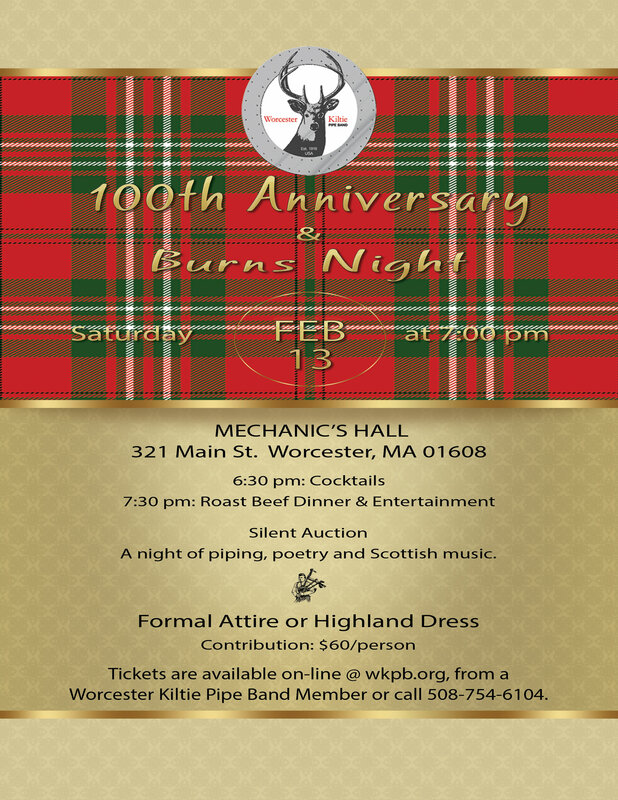 Join Worcester Kiltie Pipe Band at Mechanic Hall on February 13, 2016 to celebrate the band’s 100th anniversary and our annual Burns Night. Please click here to reserve your seat today to this once in a century event. 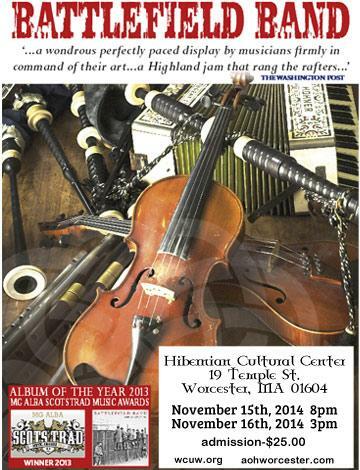 Benefit concert on November 16, 2014 with the Battlefield Band! 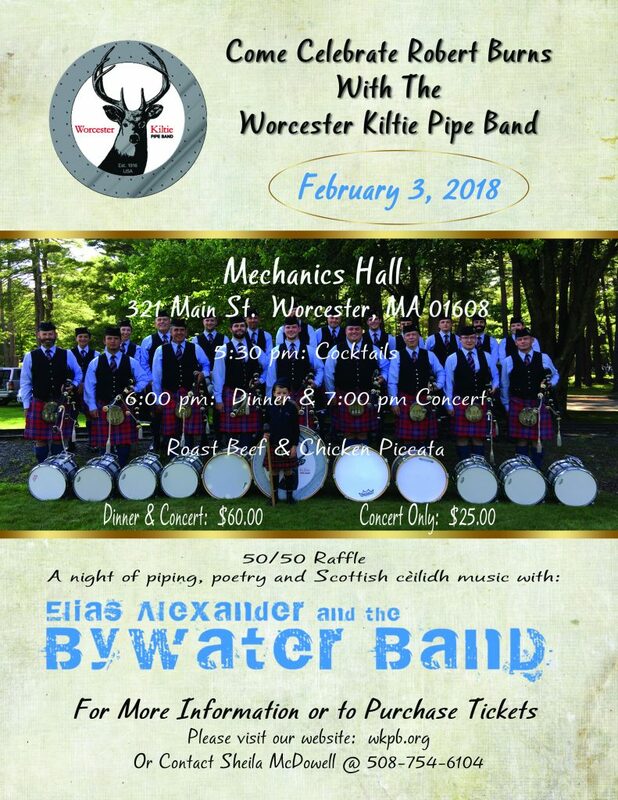 There will be a benefit concert for the Worcester Kiltie Pipe Band on Sunday, November 16th at the Hibernian Cultural Centre in Worcester, MA, featuring the Battlefield Band, direct from Scotland. 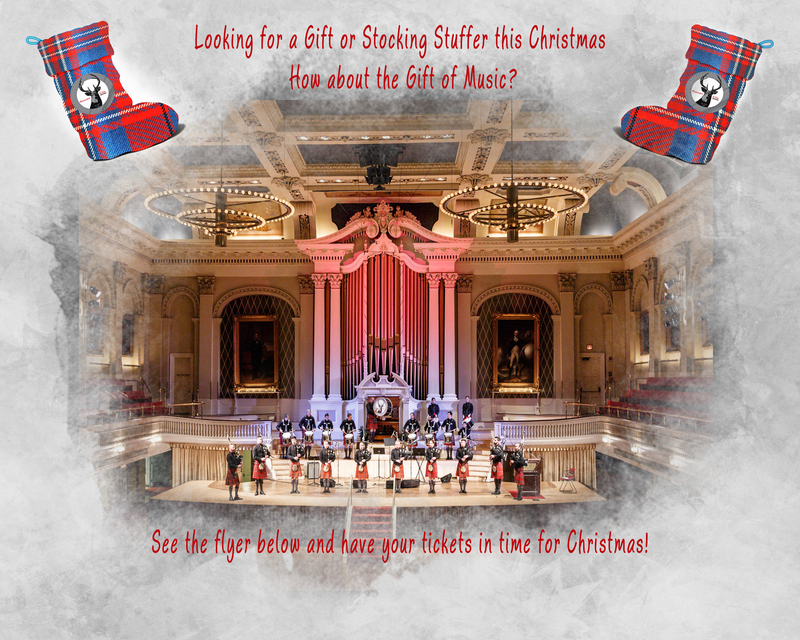 Click for more info on the concert and to purchase your tickets today!.